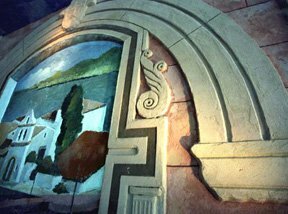 Click on the picture below to see European stucco (lime mortar / traditional mortar) and Fresco art. 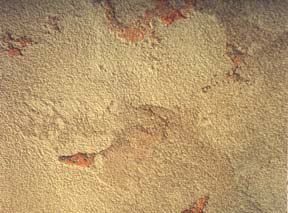 Click on the picture below to see European stucco (lime mortar / traditional mortar) decorative finishes. Our art and our European stucco (lime mortar / traditional mortar) applications are suitable for residential and commercial architectures, for both the exterior and the interior. We use art and European stucco (lime mortar / traditional mortar) finishes to help you transform a space to escape the mundane, visually "repair" the proportions of a space, bring warmth and light to a dull space, create uniqueness, create a special ambiance, simply cover your walls in lively, bright stucco -- and many more. Copyright � 2004-2007 Stucco As Art. All Rights Reserved. Site Design by MXS.